The trials and tribulations of the estranged Bordelon siblings are far from over. OWN has renewed their Queen Sugar TV show for a fourth season. Though the third season’s ratings are down by 25-39%, the series remains a decent performer for the cable channel. The extended third season finale airs on August 22nd. Los Angeles – OWN: Oprah Winfrey Network announced today it has renewed for a fourth season Ava DuVernay’s critically acclaimed original drama series “Queen Sugar,” from Warner Horizon Scripted Television, ahead of the extended 90-minute season three finale airing Wednesday, August 22 (10-11:30 p.m. ET/PT). In addition, “Queen Sugar” co-executive producer Anthony Sparks will take the reigns as showrunner/executive producer for season four, continuing DuVernay’s intention of providing showrunner opportunities to those who have never before held the position. In the series’ expanded 90-minute season three finale on Wednesday, August 22 (10-11:30 p.m. ET/PT), Ralph Angel (Kofi Siriboe) receives some unexpected news, the fate of the correctional facility is revealed, and Charley (Dawn-Lyen Gardner) makes a proposal on behalf of the farmers. Plus, Violet (Tina Lifford) and Hollywood (Omar J. Dorsey) celebrate their love. The series also stars Nicholas Ashe, Dondré T. Whitfield, Bianca Lawson and Henry G. Sanders. Timon Kyle Durrett guest stars. “Queen Sugar” was named Television Show of the Year from both American Black Film Festival (ABFF Honors) and African American Film Critics Association (AAFCA) for the second consecutive year and was nominated for an NAACP Image Award for Best Drama Series. 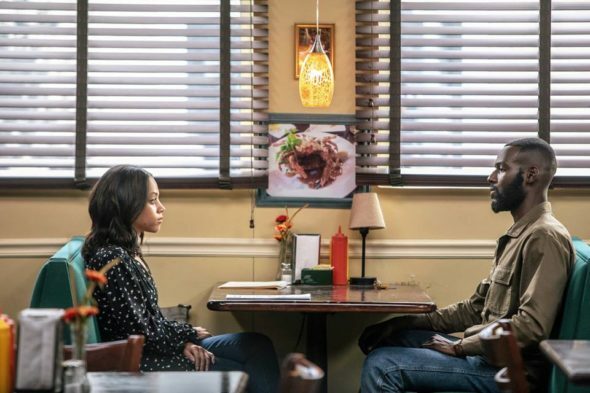 Chronicling the lives and loves of the Bordelon siblings in Louisiana, the series premiered its third season May 29 delivering over two million viewers and on average ranks #1 in its time period across all cable in the network’s key women 25-54 demo (L+3). It is also Wednesday night’s #1 original series across all of broadcast and cable for African-American women and total viewers and is consistently one of the most talked-about shows on social media. “Queen Sugar” season three is produced for OWN by Warner Horizon Scripted Television. The executive producers are Ava DuVernay, Oprah Winfrey, Kat Candler and Paul Garnes. Kat Candler is showrunner. The series is based on the book by Natalie Baszile. Fostering a space of inclusion, Anthony Sparks has been a key component in the “Queen Sugar” writers’ room from the series inception. Sparks television writing credits include “Undercovers,” “Lincoln Heights,” “The District,” “The Blacklist,” and he has been nominated for two NAACP Image Awards along with receiving two writing awards from the Norman Lear Center. Previously, Sparks was a former cast member of Broadway hit ‘Stomp.’ He holds three degrees from USC (BFA, MA, and Ph.D.), where he studied Theatre, Film, Anthropology, and American History. While at USC he received the Jack Nicholson Award and the Anna Bing Arnold Doctoral Fellowship. One of his plays, “Ghetto Punch,” has been performed at several venues across the country. OWN: Oprah Winfrey Network is the first and only network named for, and inspired by, a single iconic leader. Oprah Winfrey’s heart and creative instincts inform the brand and the magnetism of the channel. OWN is a leading destination for premium scripted and unscripted programming from today’s most innovative storytellers. OWN’s original scripted series include popular dramas “Queen Sugar,” “Greenleaf,” “Love Is __,” “The Have and Have Nots, “If Loving You is Wrong,” hit sitcom “The Paynes,” and upcoming drama series “David Makes Man” from Academy Award-winner Tarell Alvin McCraney and “Ambitions” from box office hit-maker Will Packer. OWN’s Saturday night unscripted programming lineup includes “Iyanla: Fix My Life,” “Book of John Gray,” “Black Love,” “Mind Your Business with Mahisha” and the recently announced dating series “Ready to Love.” OWN connects with its audience wherever they are, inspiring conversation among a global community of like-minded viewers on social media and beyond. Launched on January 1, 2011, OWN is a joint venture between Harpo, Inc. and Discovery Communications. The venture also includes the award-winning digital platform Oprah.com. Access OWN anytime, anywhere on WatchOWN.tv or across mobile devices and connected TVs. For more information, please visit www.oprah.com/own. What do you think? Do you like the Queen Sugar TV Show? Are you glad that it’s been renewed for a fourth season? Queen Sugar: Is the OWN TV Show Cancelled or Renewed for Season Four? This is Important, Relevant Television at it’s BEST! As a writer and indie cinematographer, I am inspired! The sheer beauty of every shot and the masterful narrative makes this more than a show, it is art! I have been anxiously waiting on Season 4 of Queen Sugar. Please hurry and bring it back. It is absolutely my favorite series on television. I Loooove this show. Keeping it real. After such an exciting adventure of season 3 on pins and needles and wait of season 4 so looking forward to what’s in store. I am a 70yr. old African American female and totally appreciate and enjoy Queen Sugar. It is well casted, has a relevant and powerful storyline, relatable family dynamics with just enough turns and twists in the story to keep you looking forward to the next episode. Am anxiously awaiting season 4 which will hopefully bring us some emotional rollercoaster endings and beginning…Queen Sugar is an excellent show. I absolutely LOVE the show!!! Everyone puts their all into it and you have a wonderful and talented group of actors that bring this story to life each week! I look forward to the shuw and get bummed at the season finale because I have to wait so long or so it appears for the next season! Can’t wait to see which direction things go next! Glad to hear there is a season 4!